As a State Natural Area our trails are open to the public during daylight hours 365 days a year. However, due to some facilities limitations there are a few things you need to know when planning on bringing a group of 20 or more people. We run many different events and programs in the park and can help ensure the success of your trip as well as our programming if we know when other groups are going to be here. We are happy to help you plan your trip and can give you important information that will help your day go smoothly. Especially on nice days parking can be very limited! If your group is coming in separate cars please plan on carpooling in order to find enough spaces for your group. The Nature Center only has 2-3 stalls/gender, so large groups will need to stagger their visits to the bathroom to avoid crowding the entryway and bathrooms. 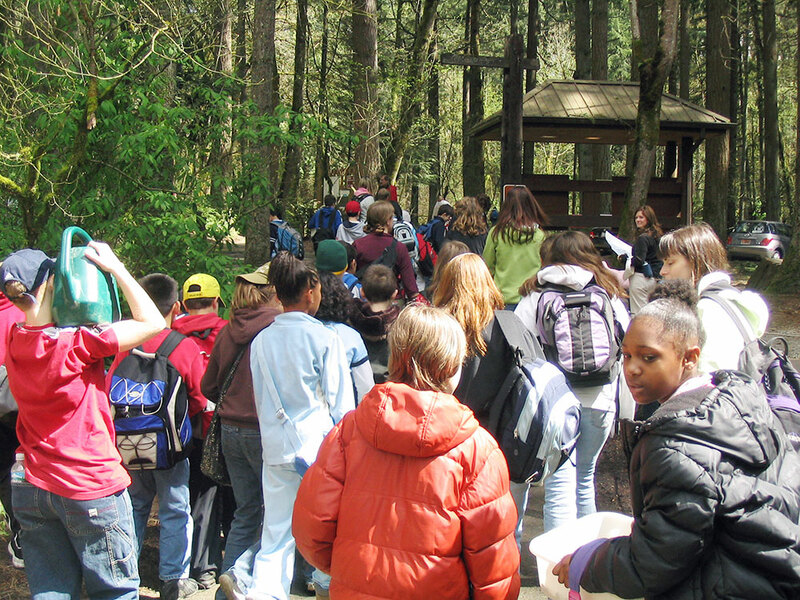 We run public field trip programs throughout the school year as well as a Nature Day Camp program. It is very nice to know if you are planning on being here with a large group so we can coordinate our schedules to avoid each-other’s use of our facilities.